Induction casting machines help companies to optimize and control their casting process while improving energy efficiency, increasing repeatability and productivity. 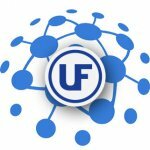 The main goal of Ultraflex is to offer the most efficient centrifugal and pressure induction casting technologies to save time and money for all customers. 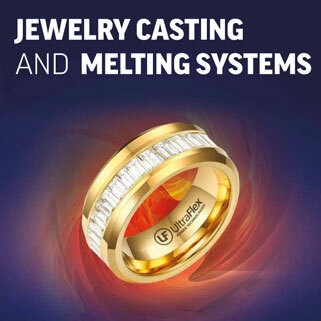 Utilizing our core competencies in engineering, we can offer wide range of high quality induction casting equipment systems which are well used in the dental, jewelry and industrial casting industries. To secure optimal environment for clean and successful casting, the melting chamber is consecutively deep vacuumed (1) and refilled with argon (2). This process is cycled several times to make sure all oxygen is entirely evacuated. The last stage is backfilling the chamber with argon to prepare it for melting and casting. Heating is turned on as soon as the chamber is backfilled with argon. An optical sensor is continuously monitoring the alloy temperature as a built-in temperature controller is following the best temperature profile. The alloy is also visible through a view-finder for better process control. When the molten alloy reaches casting temperature, an injection and compression cycle is started by following a precise spin profile. 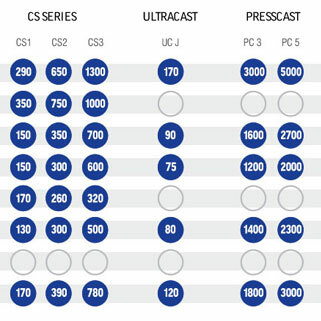 It makes sure that the right centrifugal force and right force duration is applied for successful casting. 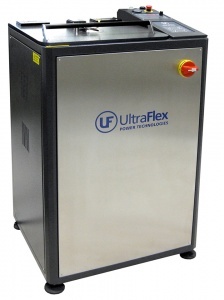 A patented technology utilizes non-interrupted heating process to avoid premature alloy solidification. Ingots or scrap are loaded prior to process initiation. To secure optimal environment for clean and successful casting, both melting and casting chambers are consecutively deep vacuumed (2) and refilled with argon (3). This process is cycled several times to make sure all oxygen is entirely evacuated. The last stage is backfilling the chambers with argon to prepare them for melting and casting. Heating is turned on as soon as both chambers are backfilled with argon and the flask is raised up to position. An optical sensor is continuously monitoring the alloy temperature as a built-in temperature controller is following the best temperature profile. The alloy is also visible through a view-finder for better process control. When the molten alloy reaches casting temperature, an injection and compression cycle is started by raising the plunger and applying the right pressure and vacuum. Pressure is applied to the melting chamber, while vacuum is pulled from the casting chamber. That eliminates miscasting and significantly reduces shrinkage porosity. For the best results, a precise vacuum/ pressure profile is followed for the whole duration of the injection and compression phase. 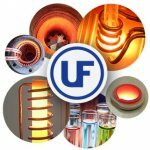 Ultracast is a patented proprietary technology that combines the crucible and flask in one to reduce cost and increase efficiency. Tree wax model is built on a reusable rubber base (supplied). Ceramic tube is placed around the tree wax model and is filled with investment material. Flask is pulled from the rubber base once the investment material solidifies. Flask is placed in a burnout furnace for investment material curing. Wax melts down, leaks out and opens model cavity. Once burnout is completed, the flask acquires crucible functionality as well. While hot, the flask/crucible is filled with ingots or scrap. To secure optimal environment for clean and successful casting, the mini chamber is consecutively vacuumed (2) and refilled with argon (3). This process is cycled several times to make sure all oxygen is entirely evacuated. The last stage is backfilling the chamber with argon to prepare it for melting and casting. 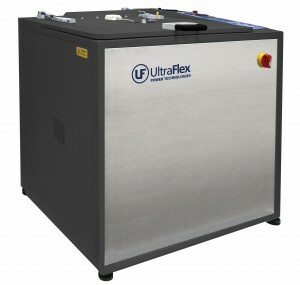 Heating is turned on when as the chamber is backfilled with argon. An optical sensor is continuously monitoring the alloy temperature as a built-in temperature controller following the best temperature profile. The alloy is also visible through a view-finder for better process control. When the molten alloy reaches casting temperature, an injection and compression cycle is started by applying the right pressure to the chamber. Pressure is precisely monitored and regulated so it is strong enough to push molten alloy through the channels at the bottom of the crucible. 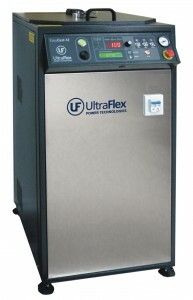 For the best results, pressure duration is precisely controlled as well.